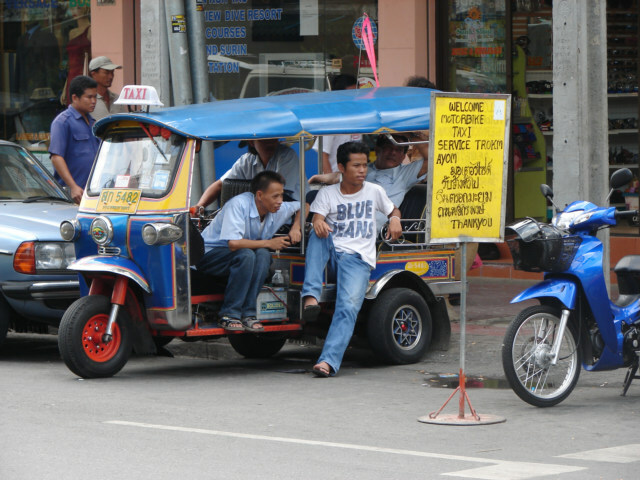 This is a Tuk Tuk, a three wheeled and not cheap way of getting around in Thailand, sometimes it is cheap if you negotiate well, however, the best value in Thailand is a metered Taxi. Everyone should take a ride in a Tuk Tuk; this is typical sight on Khao San Road in Bangkok. 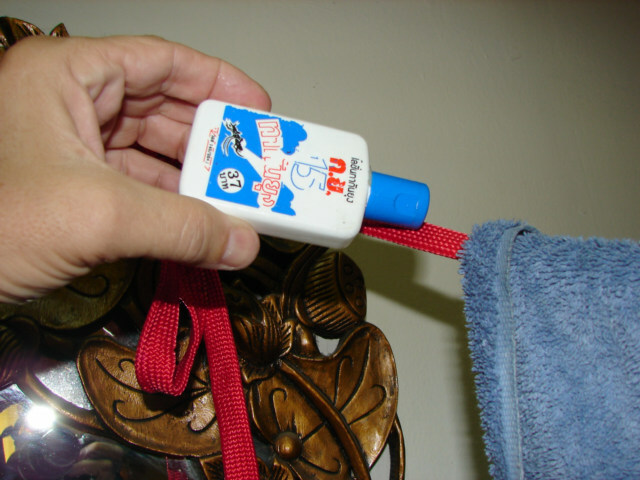 I moved to another room, I am in full on anti-ANTS mode, this line is hanging up, I have my towel hanging on the line, I poured or saturated the nylon cord with insect repellent, hope it works on Ants. The cord is from my hammock.